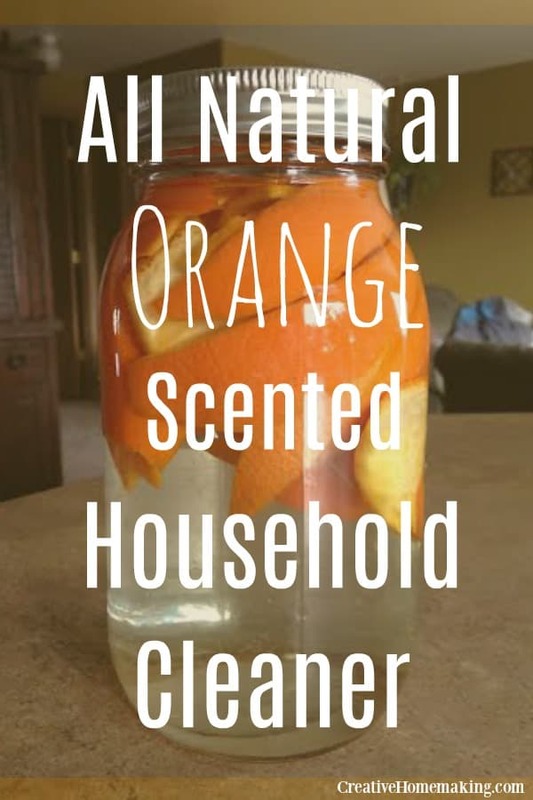 April 5, 2014 0 comments on "All-Natural Orange Scented Household Cleaner"
A few months ago I saw a recipe for making your own green cleaner from vinegar and orange peels. 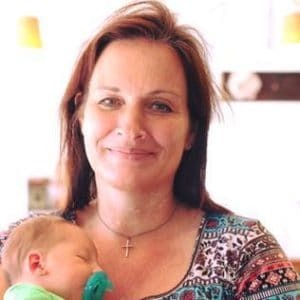 I had already made my own all-purpose cleaning spray, but what’s neat about this recipe is that you don’t need to use essential oils, the orange peels add the scent to the spray. You can used either a pint sized or quart sized canning jar to make this cleaning spray. I used a quart jar because I go through cleaning products rather quickly. First you need to peel the oranges. For a pint sized jar, you will need about two oranges. You can probably fit the peels from three or four orange peels into a quart sized jar, but I decided two were enough for my jar. You can just peel the oranges by hand, but I used a knife to get nice even cuts. Place the orange peels in a clean jar and then fill the jar to the top with white vinegar. You need to let the vinegar sit for about 2 weeks to allow the orange peels to fully combine with the white vinegar. After 2 weeks, remove the orange peels from the jar and the vinegar is ready to use. It is best to combine the vinegar with water, so I use 50% vinegar and 50% water in my spray bottle. That’s it, an easy homemade cleaner! Inexpensive and earth friendly too. If you like this recipe, you might like my lavender cleaning spray too.